Line Pipe and Tubular Products – Consolidated Pipe & Supply Co.
Consolidated is one of the largest stocking distributors of line pipe in the United States. We have sales offices and inventories located across the United States, to fulfill your project needs. 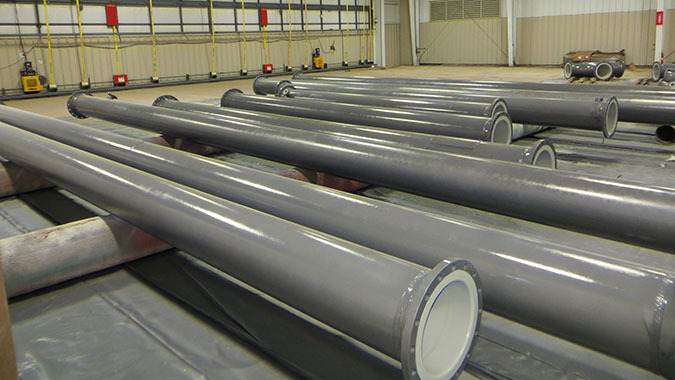 Our centralized inventory in Birmingham maintains more than 120 acres of line pipe and tubular stock ready to be machined, beveled, cut to length, threaded, grooved, or fusion epoxy coated. All of this is done in-house to ensure we can deliver you a quality product to your spec, on time. During the construction of the Birmingham, Alabama fusion bond epoxy coating plant in 2011, we applied 53 years of coating experience into the design. At this new facility, we use the latest coating technologies to ensure a quality, high-performing coating that better protects your investment. We also stock a complete line of fittings and valve accessories - and maintain an inventory of 1/2" through 48" carbon steel pipe manufactured by electric resistance weld, continuous weld, seamless or double-submerged arc weld processes. These items are available in black, bare, galvanized, and stainless steel for special corrosion requirement needs. Also available are 1/2" through 12" ASMT A312 stainless steel pipe, 1/4" ASTM A269 stainless steel tubing, and nickel alloys (e.g. Monel Hastalloy). Consolidated's Quality Assurance Program exists to ensure all processes and procedures from order entry to product delivery meet or exceed industry standards. We are approved by 3M, NAPCA, AWWA and most recently SSPC-Q/P-3. 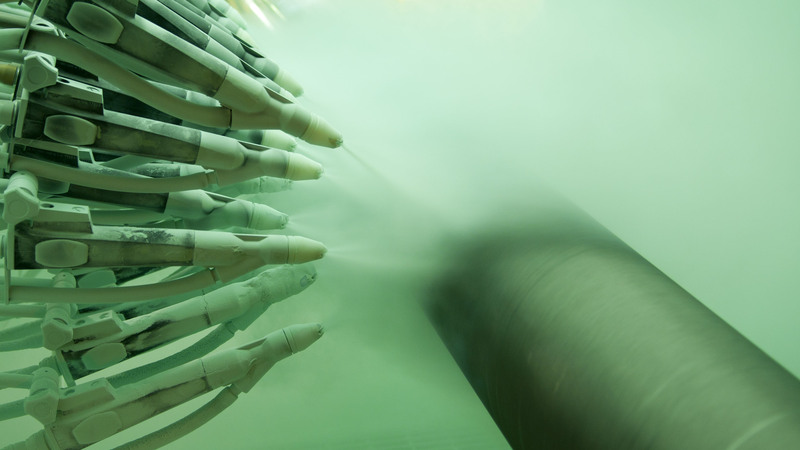 Our fusion bond facility boasts the latest technology in epoxy thin film application. 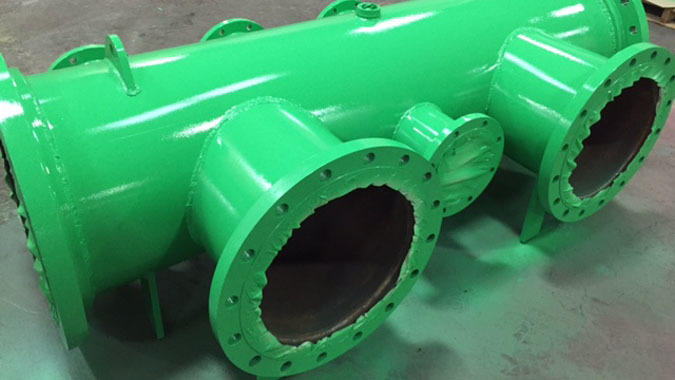 We can coat 1/2" through 36" pipe sizes up to 60' in length to meet a wide range of specifications. We provide I.D. and O.D. specialty linings for use in jet fuel and military applications. AWWA specifications are also available. 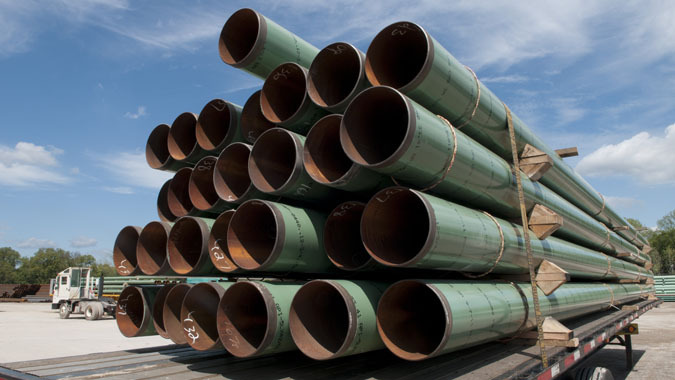 Consolidated Pipe holds inventory in strategic locations across the country. This allows us to quickly and easily service jobs nationwide. One of our largest hubs for line pipe is in Houston, Texas. Our coated inventory in and around the Houston market allows us to service our entire customer base quickly and in the most efficient manner possible.